Painter Luigi Loir :"From the Belle Epoque to Advertising "
The beginning of the 20th Century saw the dawn of a new innovative world. 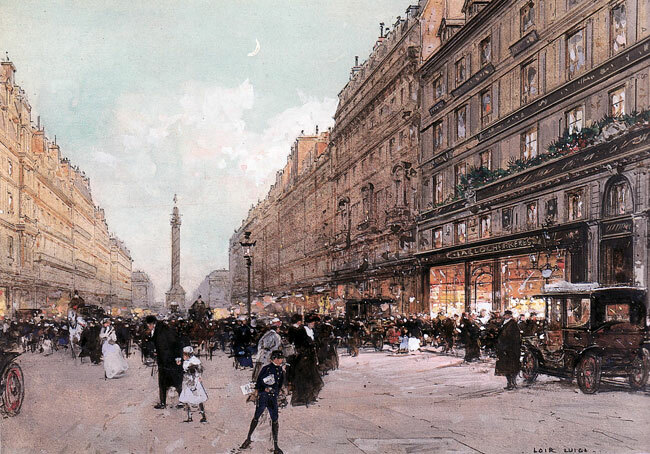 From the “Belle Epoque” to the era of industrialization, society in full evolution profited from Luigi Loir’s indisputable talent. I became fascinated by the work of this rare and mysterious artist. It seemed to me essential that a book should be devoted to him. 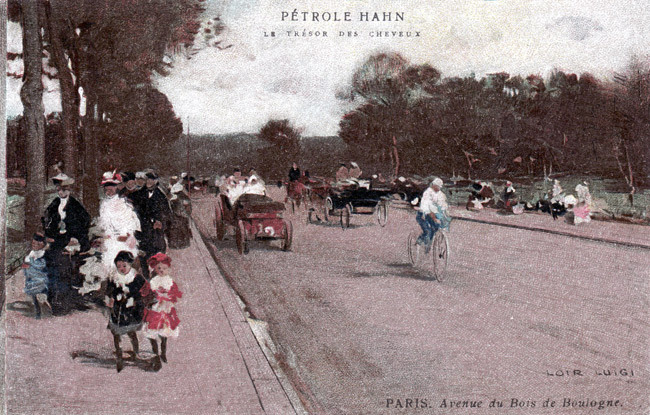 From the fall of the Empire in 1870 until 1914, the new economic exposition generated a period of pleasure and “joie de vivre”. Paris was humming with action and its source of happiness became myth. The bottom of the “butte” teemed with cabarets and shows from where artists such as Toulouse Lautrec, Valadon, Maurice Denis, Luigi Loir drew their inspiration. Advertising, the ephemeral art, should captivate, convince and make one dream. It played an important role in society at the end of the 19th century. It materialised the main social-cultural trends of the time and gave concrete expression to the technical innovations it printing. Mr. Noe Willer consultant to French auction houses. Paintings of French Artist Painter Luigi Loir. French art of the 19th- and 20th-Century. Copyright © 2019 Luigi Loir. All Rights Reserved. Designed by www.abc-site.com.